Is Monero the truest cryptocurrency? 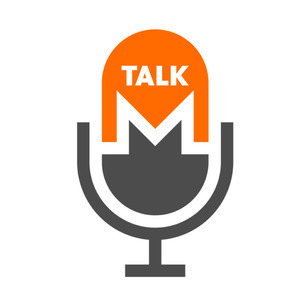 We found 10 episodes of Monero Talk with the tag “blockchain”. This Moneroversary showcase consists of several live events celebrating Monero's 5th anniversary. A Mastering Monero Gift on Monero's 5th Moneroversary!!! A conversation with Mitchell Krawiec-Thayer, about the book Mastering Monero, written by SerHack and members of the Monero community , edited by Mitchell, and published by Justin Ehrenhofer. Please see the credits in the book for all the members that contributed. We also have SerHack following the chat to answer any questions that may come up. We asked Riccardo Spagni, aka @fluffypony, aka the CEO (Chief Entertainment Officer) of Monero some big questions ! Is Monero the truest crypto currency of them all? Is Monero humanities greatest hope against the rise of surveillance capitalism? What motivates you to work in Monero? Are you a crypto anarchist or cypherpunk trying to build tech that will give humans more liberty ? Is Monero more aligned with cypherpunk/cryptoanarchist ideals than bitcoin? Why aren’t the idealist Bitcoiners like Andreas Antonopolous more serious about Monero ? Is bitcoin is dangerous because it fools very smart people into opting into a future where all our transactions on our transparent ledger? Do we even have want to be added to Coinbase now? Not being added seems to be the best indicator that we are doing something right. Coinbase can’t handle true digital cash. What are reproducible builds? Will they help make Monero more decentralized in terms of development? Is bitcoin digital gold? Isn’t Monero be better digital gold since it’s fungible at the protocol level? Do you think it will be one coin to rule them all? How do you feel about the state of Monero today? Are we currently digital cash? Have we achieved it ? Is Monero’s mining more decentralized than Bitcoin’s? What strategy will Monero be taking to thwart ASICs? When will ASICs become commoditized and when we will we welcome them on the Monero network? What can be done to prevent an undetectable inflation bug in Monero ? Is it possible to be perfectly binding and blinding? What do you think about Monero’s tail emission v Bitcoin’s fixed supply ? Is Monero effectively more secure because of it? Is it possible that one day Bitcoin’s max cap will have to be raised? Isn’t gold disinflationary like Monero? What do people mean when they say Monero can’t scale? We have dynamic blocksizes? Is it that transactions and the blockchain are too large and you can’t run full nodes? Won’t moors law save us? Will Monero have Lightning Network? Will it have a Mimblwimble sidechain? Why isn’t an ICO use case for Tari ever discussed? What do you think of the new SEC guidance? Is it another reason why we should move away from pow tweaks? Vincenzo Di Nicola is an advisor to the Italian government and the Republic of San Marino. He recently announced that he is working with the Italian government on testing an online voting system that runs on the Monero network. Needmoney90 -- Monero Reddit moderator and all things Monero expert. We discuss what transpired during the recent IRC developers meeting on a Proof of Work plan of action for Monero. Particularly, we discuss the communities goal of implementing RandomX in October (if an audit is successfully completed by then) and what the following steps will be if RandomX does not successfully thwart Asics -- switching to SHA-3 or another egalitarian proof of work. All-in-all it is exciting times as we watch the developers reach consensus on a plan of action to uphold one of Monero's tenants -- maintaining a decentralized mining network. We discuss proof of work and Monero's strategy for preserving a decentralized mining network to remain as censorship resistant digital cash. Is ASIC resistance futile? A chat with Mitchell Krawiec-Thayer of the Monero Research lab on his involvement in Monero, an explanation of dynamic blocksize and the recent upgrades made to avoid Big Bang attacks, and his opinion on some of the big questions in Monero Land.